(MARYLAND HIGHWAY SAFETY ACT OF 2013)"
Dear Chairman Vallario and Vice Chair Dumais, thank you for the opportunity to be here today to testify against the repeal of the lawful status requirement in applying for a driver's license in Maryland. I appreciate very much this committee's continued interest and effort in addressing secure driver's licensing, the 9/11 Commission recommendations on secure IDs, the implementation of the federal secure driver license REAL ID statute and its effect on Maryland residents, and why requiring Social Security number checks and lawful status is a critical element of driver's license security. I am here as a key author of the 9/11 Commission staff monograph, 9/11 and Terrorist Travel, including much of the content of how and where the 9/11 hijackers obtained state-issued driver's licenses and IDs, as well as an integral drafter of the final recommendations on secure IDs and better borders in the 9/11 Final Report. I have been privileged to have testified before Congress on REAL ID and related 9/11 Commission recommendations a total of 15 times, and authored numerous reports and updates on REAL ID, including annual assessments of the law's implementation and updates. I have never, however, testified live before a state legislature. I am privileged today to be before the Maryland House Judiciary Committee on the important issue as of maintaining the federal law requirement of lawful status for Maryland driver's license applicants. HB 789 Places Maryland Out of Compliance with REAL ID. HB 789 repeals the lawful status requirement for Maryland driver's license applicants in contradiction to federal secure driver's license law. Repealing the lawful status requirement will place Maryland out of compliance with the REAL ID statute, which the Department of Homeland Security intends to begin enforcing in the coming months. That could mean that U.S. citizens and legal residents will be put in jeopardy of not being able to use their Maryland driver's licenses to board commercial aircraft and enter federal facilities. HB 789 Re-Creates Maryland as a Magnet for Criminals, Identity Thieves, and Illegal Aliens. HB 789 repeals the lawful status requirement, leading the way to Maryland once more becoming the magnet for criminal and illegal alien residency that it was in 2009. Remember that just four years ago Governor O'Malley held an emergency session to reverse the problems that quickly accrued when Maryland was the only state east of the Rockies that allowed those without lawful status to obtain a driver's license. Identity theft is a fast-growing and disturbingly common crime; one household in 14 suffered an identity theft in 2010, according to the U.S. Justice Department, up from one in 18 just five years earlier. Some of the most intrusive and devastating forms of identity theft — forged checks, for example, or employment fraud — require a fraudulent driver's license or similar identification document to accomplish. Bad driver's license security has victimized millions of Americans, and not requiring basic identity documents such as a SSN or lawful status top the list of bad policy that victimizes Americans and legal immigrants. Requiring Lawful Status Is for Anti-Fraud and Anti-Crime Purposes, Not an Immigration Policy Statement. To be clear, requiring verifiable lawful status as part of the driver's license system has absolutely nothing to do with a stance on immigration or what our national immigration policy should be. That is, and should remain, a completely separate issue. Requiring lawful status exists in federal law for one crucial reason: because without requiring Social Security numbers and lawful status, there is absolutely no way to ensure that the person seeking the significant legal benefit of a driver's license is both (1) entitled to a driver's license; or (2) who they say they are. To put it another way, secure ID issuance, and the implementation of REAL ID, has helped battle identity theft, protect children from underage drinking and driving, siphoned out wasted time spent on fraudulent applications at motor vehicle offices around the nation, and enabled police officers to better know who it is they are encountering on a day-to-day basis so they can make better decisions about public safety. It has also enabled most wanted criminals to be stopped and caught when applying for a driver's license. The Fraternal Order of Police has publicly stated that the identity requirements of REAL ID protect officers and helps apprehend criminals, and when attempts were made to repeal the law in 2008, the Order staunchly supported REAL ID, so much so that they said they would not support a pending 9/11 implementation law if REAL ID were repealed. The 9/11 Final Report recommendations on terrorist travel called for secure ID issuance standards based on findings of fact from my border team. We found that 18 of 19 of the 9/11 hijackers acquired a total of 28 driver's licenses and state-issued IDs in five states. The 9/11 hijackers assimilated into the United States by attaining 17 driver's licenses from Arizona, California, and Florida (four of which were duplicates) and 13 state-issued IDs from Florida, Maryland, and Virginia. The hijackers then used those IDs for the purpose of renting cars, obtaining living quarters, opening bank accounts, and boarding aircraft on the morning of 9/11. We know that at least six hijackers presented state-issued IDs on the morning of 9/11. The pilot who flew into the Pentagon, Hani Hanjour, had ID cards from four states: Florida, Maryland, Virginia, and Arizona. The Pennsylvania pilot, Ziad Jarrah, had three IDs and an unverifiable ID when stopped for speeding two days prior to 9/11. Both pilots had obtained a Virginia ID by fraud. In December 2005, the 9/11 Commissioners' final report card on its recommendations gave Congress a good mark for passing into law solid language pertaining to its identity security recommendations in the 2004 Intelligence Reform Act and 2005 REAL ID Act. However, the Commissioners remained concerned at the states' ability to comply, stating: "The REAL ID Act has established by statute standards for state-issued IDs acceptable for federal purposes, though states' compliance needs to be closely monitored." All but one of the 9/11 hijackers acquired some form of U.S. identification document, some by fraud. Acquisition of these forms of identifications would have assisted them in boarding commercial flights, renting cars, and other necessary activities. Recommendation: Secure identification should begin in the United States. The federal government should set standards for … sources of identifications, such as driver's licenses. If Maryland does not remain compliant with REAL ID and eliminates its lawful status requirement, any individual with intentions such as the 9/11 hijackers will be able to do in Maryland — and only in Maryland on the east coast — exactly what the 9/11 hijackers did: game the system because there will be no way to verify the identity of the individual seeking the license. The 9/11 hijackers are not the only terrorists we know of who have taken advantage of blind spots and weaknesses in ID issuance standards. One terrorist caught in 2001 on the northern border, Nabil al Marabh, had five driver's licenses and a hazardous materials permit. Mir Aimal Kansi, who killed two people outside CIA headquarters in 1993, got a Virginia driver's license despite being in the United States illegally. Last year, the FBI arrested a Saudi student in Texas whose notes showed that he had devoted much of his young life to winning a scholarship to the United States, where he planned emulate Osama bin Laden by killing large numbers of Americans. His plans included casing the home of George W. Bush and preparing a chronology for the attacks listing these key steps in his plan: "obtaining a forged U.S. birth certificate, applying for a U.S. passport and driver's license; … using a different driver's license for each car he rents; … putting the bombs into the cars and taking them to different places during rush hour." Terrorists hoping to attack us at home will keep exploiting the insecurity of our driver's license system for as long as there are states that do not improve, or reverse improvements to their driver's license systems. With knowledge of how easily the 9/11 hijackers obtained state-issued IDs, states acknowledged post 9/11 that driver's license issuance systems across the country were deeply flawed, threatening national and economic security, public safety, and our privacy. The entity that took on the issue, establishing numerous working groups consisting of state motor vehicle administrators and their staff, and producing numerous, in-depth recommendations on securing driver's license issuance — without any prodding from the federal government — was the The American Association of Motor Vehicle Administrators (AAMVA). AAMVA is a tax-exempt, nonprofit organization developing model programs in motor vehicle administration, law enforcement, and highway safety. Founded in 1933, AAMVA represents the state and provincial officials in the United States and Canada who administer and enforce motor vehicle laws. AAMVA's programs encourage uniformity and reciprocity among the states and provinces. Maryland is an active member. Post 9/11, AAMVA set out to deal with a large variety of security issues regarding driver's license and ID security. This work was the foundation for the current REAL ID law, with AAMVA concerned about a lack of uniformity in issuing processes and the related security concerns raised in part by issuance to undocumented aliens. However, while REAL ID does not ban states from issuing DL/IDs to undocumented aliens, AAMVA was clear in supporting such a ban. What is interesting to note is that AAMVA was not addressing access to DL/IDs by undocumented aliens from an immigration perspective, but based on concerns about the integrity of state systems when an individual's identity and status could not be verified (increased fraud), and repercussions for highway safety and best practices. BE IT RESOLVED FURTHER that it is the recommendation of the Board of Directors of the American Association of Motor Vehicle Administrators that jurisdictions not grant a photo driver's license or photo ID card to undocumented aliens. Board of Directors Resolution No. 03-09 was passed at a meeting duly held on September 4-5, 2003. A Package of Decisions Based on Best Practices, Standards, Specifications and Recommendations to Enhance Driver's License Administration and Identification Security (Feb. 2004). Recommendation #5:All jurisdictions should not grant a photo driver's license/identification card to an undocumented immigrant. The number of noncitizens (both legal and illegal) applying for a DL/ID has steadily increased in recent years. ... Immigration status and an immigrant's length-of-stay in the country have been identified as factors in national security. DL/ID issuance of immigrants must therefore be a consistent, accurate and secure process. In May 2003, AAMVA recommended that jurisdictions not grant a photo DL/ID to an undocumented immigrant. To strengthen the security of the photo DL/ID and the issuance process associated with it, it is necessary to increase the standards for an individual proving his/her identity to obtain a license. Increasing standards for all individuals strengthens uniformity, encourages reciprocity in motor vehicle administration and enhances highway safety enforcement. The REAL ID Act of 2005 was passed into law based on the states' own Secure Document Framework developed by AAMVA, the relevant excerpts laying that foundation noted in the prior section. The act establishes minimum security standards for license issuance and production and prohibits federal agencies from accepting for official purposes those documents issued by a state unless DHS determines that the state meets the minimum standards. Facing a final compliance deadline of January 15, 2013, the Department of Homeland Security (DHS) last month issued a press release providing a six-month grace period for states to become fully compliant with the federal driver's license law known as the REAL ID Act of 2005. DHS states that enforcement would then begin at the earliest in the autumn of 2013. Despite the deferral, the department's statement of support for the REAL Act and its importance to national security is a significant step forward. Currently, DHS has determined Maryland is one of 19 states that have submitted compliance packages to the DHS REAL ID Office that meet the law's certification requirements. The remaining states that have met the Act's requirements are: Alabama, Colorado, Connecticut, Delaware, Florida, Georgia, Iowa, Indiana, Kansas, Nebraska, Ohio, South Dakota, Tennessee, Vermont, West Virginia, Wisconsin, and Wyoming. The Office of State-Issued ID Support within the DHS Office of Policy Screening Coordination Office told me last week that the driver's license-age populations of the current total of 19 states asserting compliance collectively represent a little less than 30 percent of the entire driver's license-age population. The grace period granted by DHS and leadership may result in an upswing of compliance that the administration now seems to seek, especially considering how far many states had moved toward compliance even as of a year ago. Any state not meeting REAL ID Act material compliance requirements risks its residents not being able to use the currently compliant driver's license to board a plane or enter a federal facility once compliance and enforcement begin phase-in later in 2013. Overall the report finds that there is substantial compliance sought across the board by all states and territories (56 jurisdictions in all), even if there remains a wide gap between the strongest of state systems and the weakest. (References below to “states” may include the 50 states, the District of Columbia, or the five island territories.) This assessment found that almost every jurisdiction is continuing to improve its credentialing, even if some state statutes prevent actual REAL ID compliance. Even jurisdictions where there are too few improvements are not stagnant, but are working to improve aspects of issuance either with technology vendors or the American Association of Motor Vehicle Administrators (AAMVA), the entity that is responsible for promulgating many driver’s license standards as well as providing much of the network support for information-sharing that state motor vehicle agencies use. Of the 36, nine states are or will be issuing “gold star” licenses which are specially branded for acceptance for security screening at commercial airports and entering certain federal facilities. Another 27 have met or will meet the first 18 “material compliance” benchmarks that have been used for years as a measure of compliance. This includes the four states issuing enhanced driver’s licenses that meet REAL ID material compliance tenets produced for the State Department for border crossing, with Minnesota to be the fifth to begin production. 38 have installed facial recognition software to help reduce fraud and support law enforcement and another six are implementing it now; this technology is expensive and not required by REAL ID but helps states achieve the “one driver/one license” rule of REAL ID. The new surge in DHS leadership is welcome. Last year, states had found their way to implement REAL ID standards using some federal funds, but primarily their own budget resources. Why did states do so? REAL ID provided tremendous efficiencies and customer service improvements, including streamlined processing, anti-fraud, and law enforcement-supportive results that REAL ID minimum standards created. Maryland Motor Vehicle Administrator John Kuo and Transportation Secretary John Porcari testified jointly in Annapolis on December 16, 2008, that a lawful status requirement for driver's licenses was necessary in Maryland, and asked for an emergency response by the legislature. The two men — appointed by Gov. O'Malley (D), who had initially and staunchly defended Maryland's policy not to require lawful status and criticized the federal REAL ID law — provided evidence that the Maryland Department of Motor Vehicles was being overrun by out-of-state, and out-of-country, requests for Maryland driver's licenses and ID cards. Both Kuo and Porcari further discussed the unintended consequences of Maryland's loose license standards, saying that the state had become a magnet for fraud, crime, and depleted health and education budget resources. None of Kuo's 2009 testimony mentioned anything close to a financial positive such as the projected $7 million financial gain that is discussed in the "Fiscal and Policy Note" report on this bill's corollary, Senate bill 715. In fact, both men asked for action to stop the run on the DMV before the General Assembly shut down for 2008. Their request was left unanswered. Interest in the issue grew into a mountain of discontented commentary from Maryland residents, some furious that they were finding that federal authorities were already not accepting Maryland driver's licenses as valid forms of IDs, and others outraged by what they associated as increased crime with increased unlawful status in their state. Created a two-tiered issuance system until July 1, 2015. New applicants that could not prove legal status could obtain a driver license up to July 1, 2015, but thereafter cannot. (Section 16-301.1) After July 1, 2015, such licenses would not be compliant with federal law for use to board commercial airplanes or enter certain federal facilities under the REAL ID Act. (Section 16-122(D)(1)). Technically ended the out-of-state program April 19, 2009 (Section 16-122(A)(1)(II)). Added in criminal penalties for fraud in applying for or using a driver's license or ID, with application fraud receiving a fine up to $2,500 and up to three years imprisonment. (Section 16-301(CC)). The lawful status law was deemed an emergency measure "necessary for the immediate preservation of the public health or safety, has been passed by a yea and nay vote supported by three-fifths of all the members elected to each of the two Houses of the General Assembly, and shall take effect from the date it is enacted" (Section 4). Upon passage of the bill, the Maryland DMV began canceling out-of-state application interviews scheduled for after June 1, 2009. Within a day, 8,000 interviews were in the pipeline to be canceled. What is most interesting is that the Maryland legislature was exceedingly careful to ensure that their law was in full compliance with the REAL ID Act. For a policy and fiscal analysis conducted on the original bill by the state government, see House Bill 387 Vehicle Laws — Lawful Status in the United States - Material Compliance with Federal Requirements, drafted initially in February 2009. For example: In defining "lawful status" and "temporary lawful status," the bill states that it means "that the applicant has lawful status in accordance with regulations adopted by the Secretary of the U.S. Department of Homeland Security" (Sections 11-127.1 and 11-165.1). What is equally noteworthy is the outpouring of support for the measure by Maryland residents. In a small and anecdotal measure of interest in the issue, the Washington Post story "Md. Lawmakers Propose Compromise on Immigrant Licenses" on April 13, 2009 — published on the eve of the compromise — garnered 34 comments, with 30 strongly supporting the notion that people here unlawfully be barred from receiving Maryland driver's licenses. 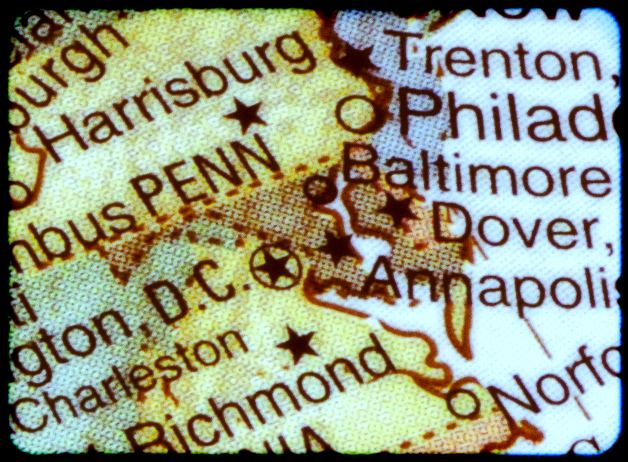 A Frederick (Md.) News-Post story, "License law dominates final day" received 44 comments, with 40 in favor of the license law, and four against. In 2007, a national Zogby poll indicated that 70 percent of Americans were in favor of more secure ID issuance, and were willing to make sacrifices to support those measures. If Maryland is any indication of grassroots sentiment, those numbers could very well be rising, not receding. Rather than raising revenue for the state, Kuo said that illegal immigration was straining DMV resources. That is a key reason why Kuo wanted to require all applicants to provide documentation of legal residence. His tales included increased costs due to "consumer" demand, rising fraud in the application process, 300,000 out-of-state calls for driver's license application appointments, and budget woes that spread into health and education resources, taxing scarce resources further. Maryland Transportation Secretary John Porcari urged immediate action, stating that the security of the licensing system was at stake and the legislature needed to act to revise its licensing requirements now. The statements of these government officials, who the year prior were at best lukewarm about REAL ID and its security measures, bear out predictions that states would experience significant fraud if they failed to tighten up their rules to meet requirements of REAL ID while neighboring states did so. Maryland was living proof that states that refuse to comply with measures that better ensure the secure issuance of driver's licenses and ID cards — and verify the identity of those they provide those licenses and IDs to — will become a magnet for illicit activity. Illegal immigrants use the same types of measures as the 9/11 terrorists did to embed here — basic fraud combined with an exploitation of the largest vulnerabilities available in state ID issuance. The hijackers used two falsely obtained residency certificates to obtain seven Virginia IDs within six weeks of 9/11, and then used those IDs to appear like assimilated Americans at the airline check-in counters on the morning of 9/11. How many of those 300,000 out-of-state calls for driver's license appointments resulted in embedding tactics to get jobs, commit crimes, or steal innocent identities? Maryland did something important in 2009: admitted that the requirements of REAL ID, including lawful status, are for the good of the state. Maryland has exerted tremendous leadership in seeking to comply with REAL ID, both for the sake of the nation's security and for the convenience and security of its residents. Maryland should not ignore the important strides it has made in making the state safer and more efficient, in part by requiring lawful status and conducting SSN checks. On the flip side, a driver's license system that does not require the most basic proof of identity, such as SSNs or lawful status, is insecure at its foundation. There is no way, when not requiring basic documentation that can be verified or authenticated, that a state can ensure that people are who they say they are. That goes not only for travel documents, but all forms of IDs. Remember that the 9/11 terrorists — and many other terrorists before them and since — had a travel operation that included the acquisition of state-issued IDs. The REAL ID Act stipulates that in order for a driver's license or state-issued ID to serve as an identity document for entering a federal facility — including boarding a plane — the document must meet, at a minimum, the security standards spelled out in the Act. Thus states are not required to issue licenses and IDs in accordance with REAL ID, but they could be subjecting their residents to considerable inconvenience if they do not. Gutting the state's hard work to comply with REAL ID, just when the federal government says it will soon begin measuring compliance and a phased-in enforcement regime, makes little sense. Falling out of compliance with REAL ID puts all Maryland residents at risk of not being able to board an airplane with their Maryland license, a cop not knowing that he has a real criminal in front of him, and inevitably supports creating of another identity theft victim.